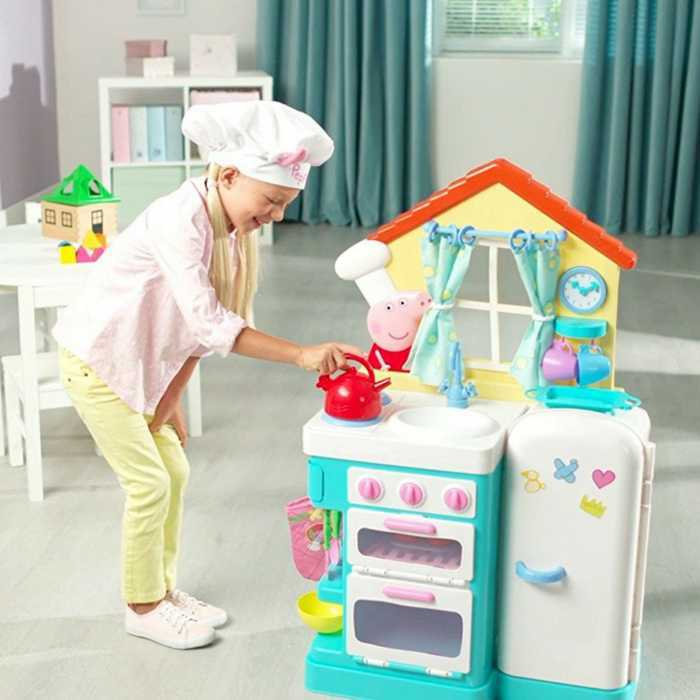 Peppa Pig Kitchen Playset Just $45.28! Down From $80! PLUS FREE Shipping! You are here: Home / Great Deals / Amazon Deals / Peppa Pig Kitchen Playset Just $45.28! Down From $80! PLUS FREE Shipping! Amazon is currently offering this Peppa Pig Kitchen Playset for just $45.28 down from $79.99 PLUS FREE shipping! Cook up a storm with Peppa Pig’s Little Kitchen!